SKU: CLAS-CHOUN. Categories: Brooches & Clasps, Cloak Clasps. Inspired by designs from The Book of Kells, these fearsome hounds will make a striking addition to any cloak! 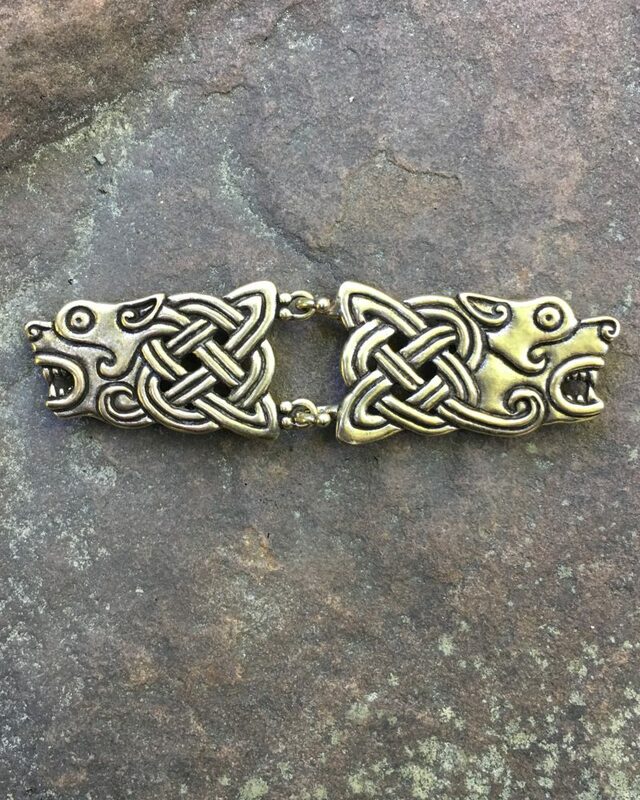 Our Celtic Hound Cloak Clasp is 6.25″ wide (160 mm) and is available in bronze or sterling silver. To use this hook & loop clasp, all you have to do is sew one half to either side of your cloak.